This exceptional, fine, impressive and original set of French bracelet charms has been crafted in 18ct and 21ct yellow gold. 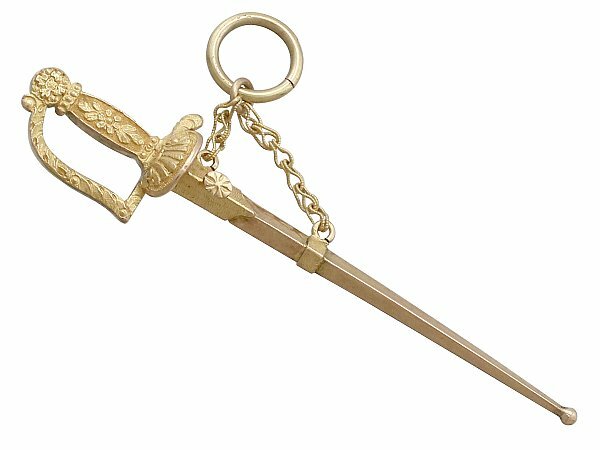 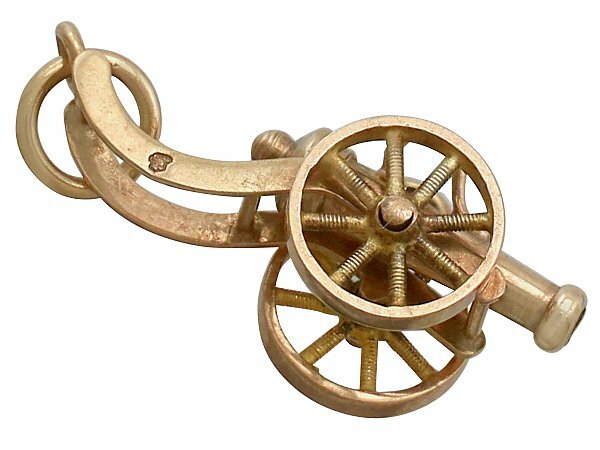 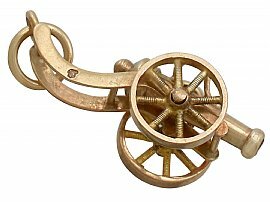 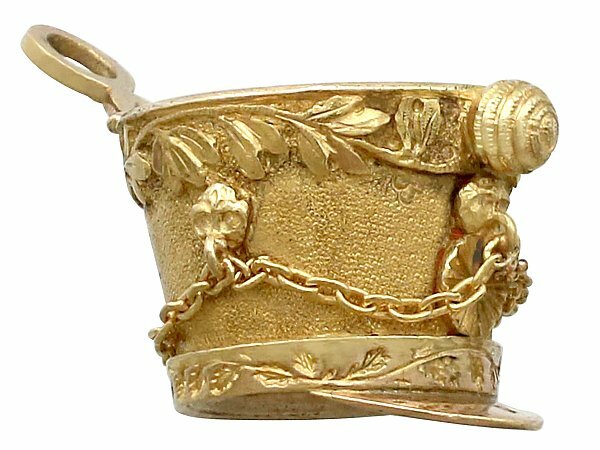 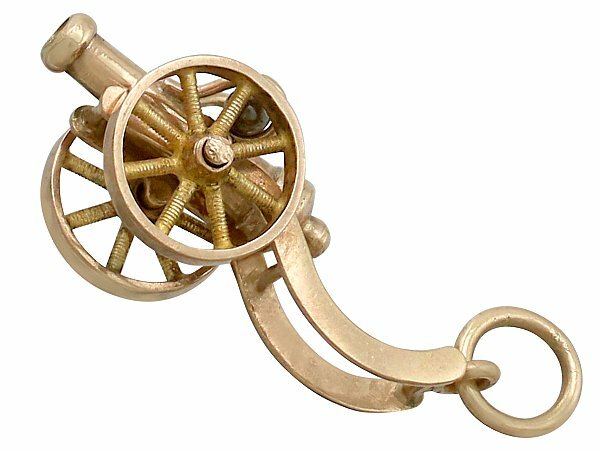 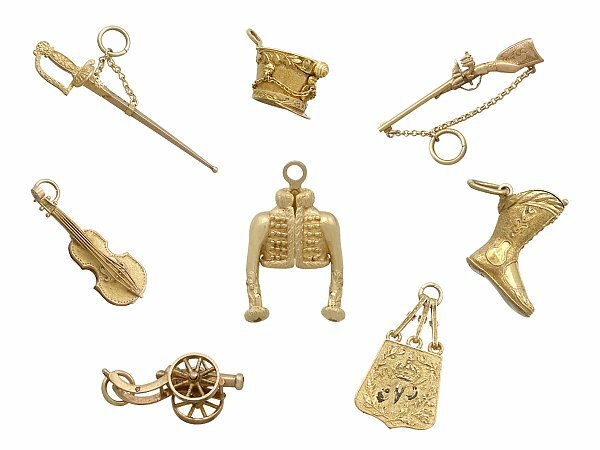 The eight antique gold bracelet charms relate directly to the Napoleonic Hussars, each charm being a realistic representation an item of clothing or weaponry. 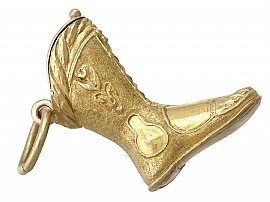 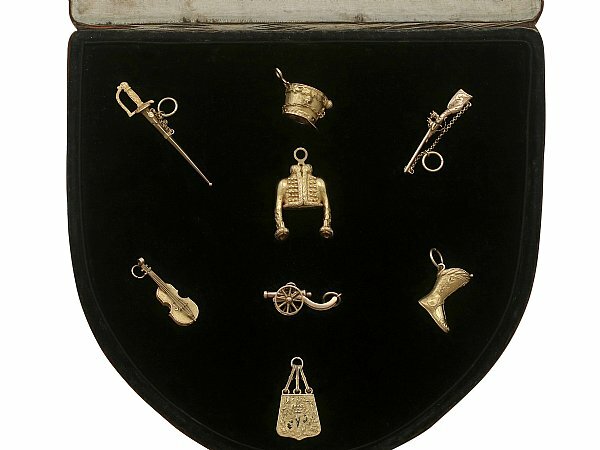 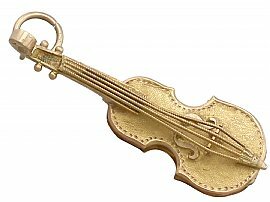 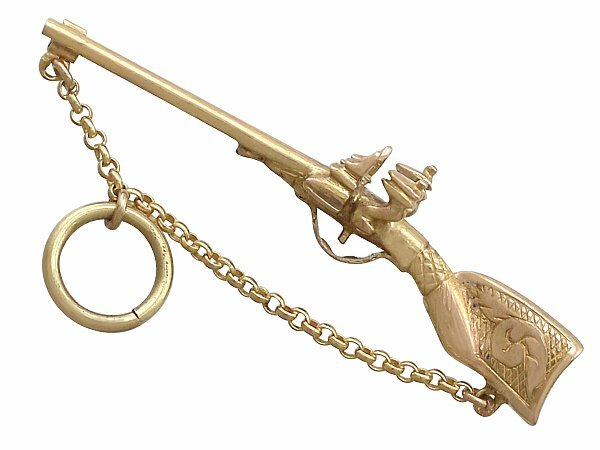 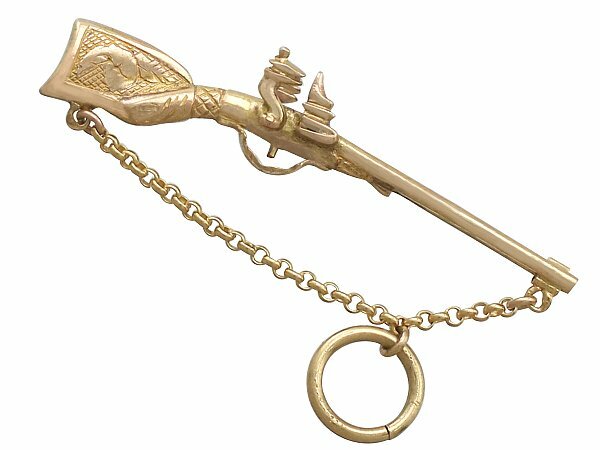 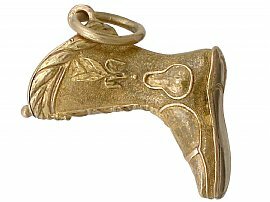 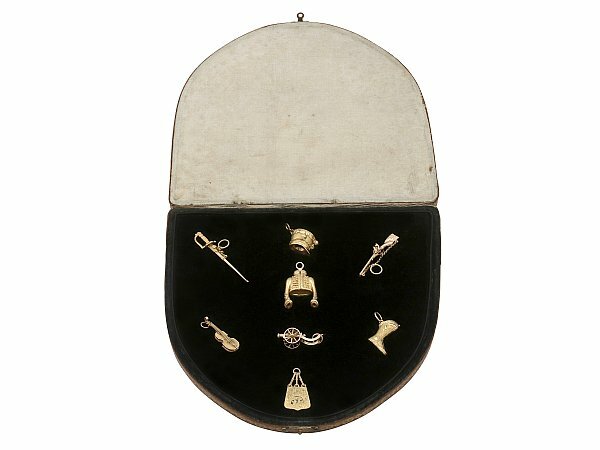 The antique charms include: A shako (hat), a pelisse (jacket), a boot, a sabretache (pouch) engraved with the initial 'N', a muskatoon/carbine (rifle), a cuirassier (sword), a cannon and a violin. 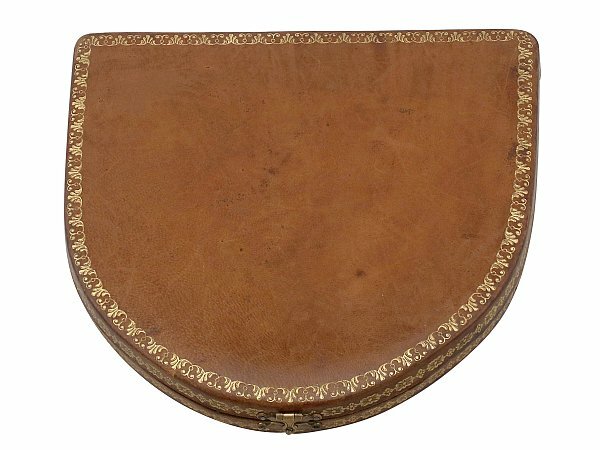 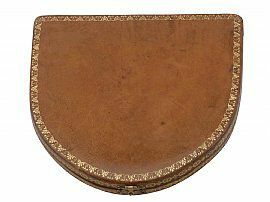 Each charm has been finely modelled, with exceptional attention to detail, and hallmarked with the French restricted warranty hallmark for Paris (circa 1810). Each charm may be suspended via an integrated suspension loop or loop and chain. 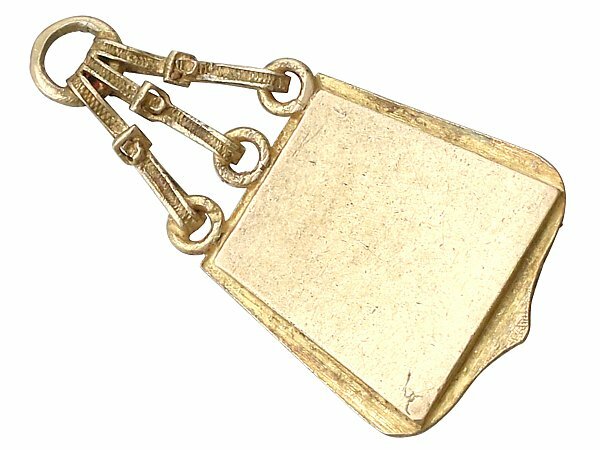 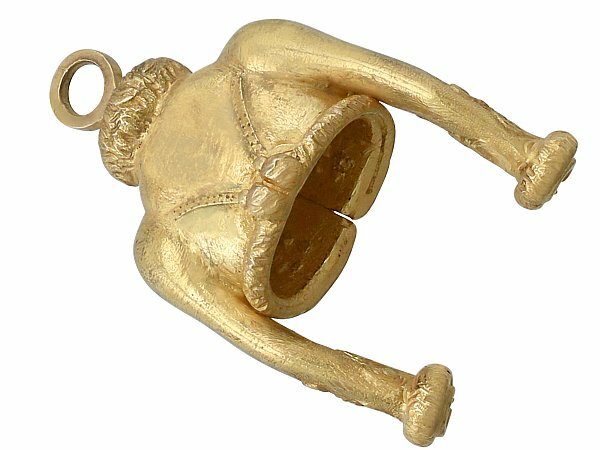 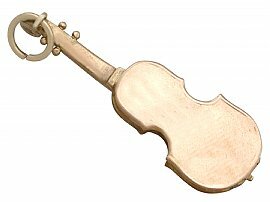 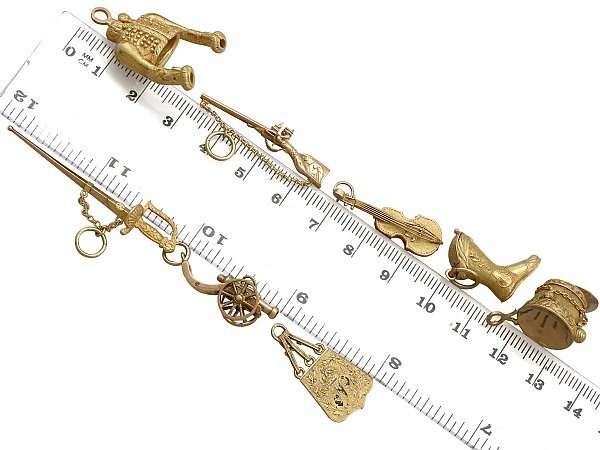 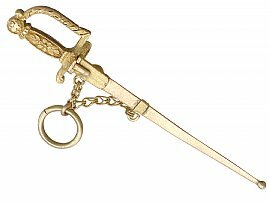 These impressive antique gold charms are fitted to the original hinged, leather, gilt tooled presentation case which secures with a hinged clasp. 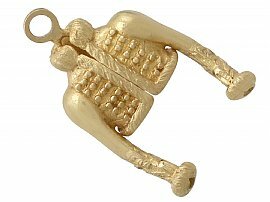 Each charm has been independently tested using state of the art technology (Niton XL2 Analyzer) and verified as either 18ct or 21ct gold (see Dimensions below for details). 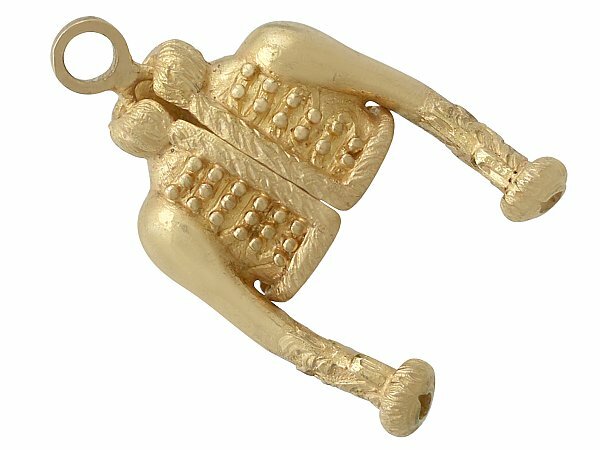 These collectable French charms are very good gauge of gold and fine quality. 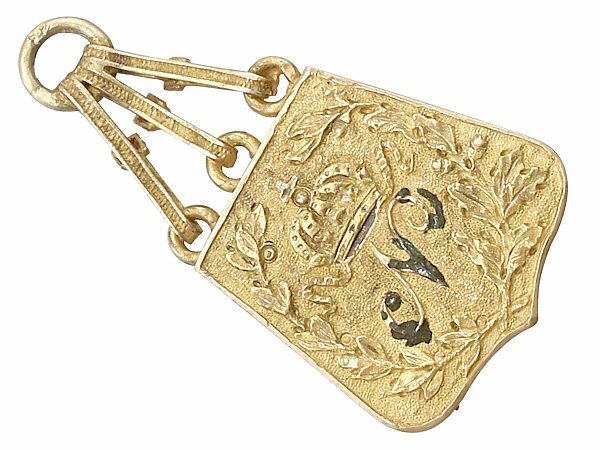 Each charm is in excellent condition, with sharp decoration and a clear hallmark. 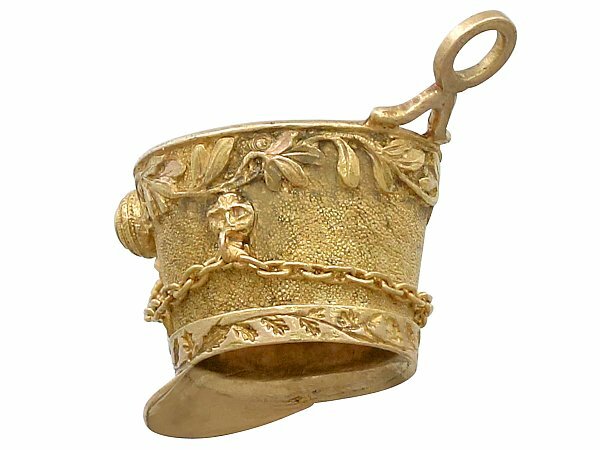 Reflections in photographs may detract from the true representation of this exceptional set of antique jewellery/estate jewelry. 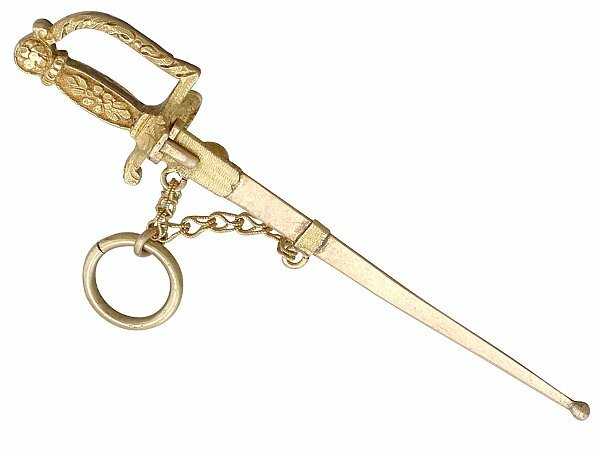 Length (collar to cuff) 3cm/1.18"
Width (shoulder to shoulder) 1.83cm/0.72"
Depth (chest to back) 8.1mmm/0.32"
Length (heel to collar) 1.9cm/0.75"
Width (across handguard ) 9.9mm/0.38"
Width (wheel to wheel) 9mm/0.35"